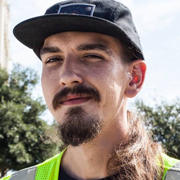 “Hi, my name is James Allen I first joined DFW Norml in January 2015. I decided to get involved after realizing that if I wanted change I needed to make it happen and not just wait for it. Since that realization I have grown as a person and become someone who is willing to fight for individual freedoms whenever needed.